Day One-Half, technically, where we go to a press-only event that preceded CTIA proper. What happened at this pre-show show? Lots of fun ogling some of the latest and greatest coming out soon. 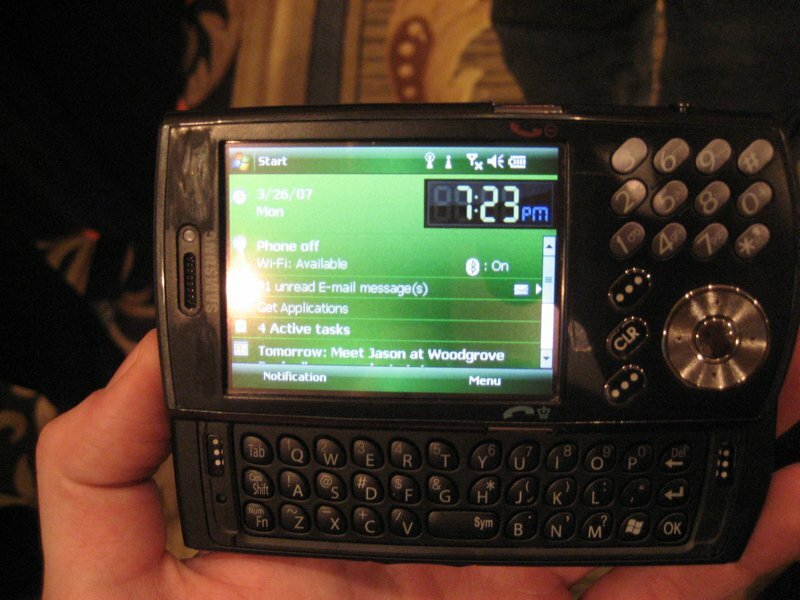 Read on for impressions of the HTC Vox, the Samsung i760, and the Motorola Q9. First things first: the HTC Vox is as hot as you've imagined. 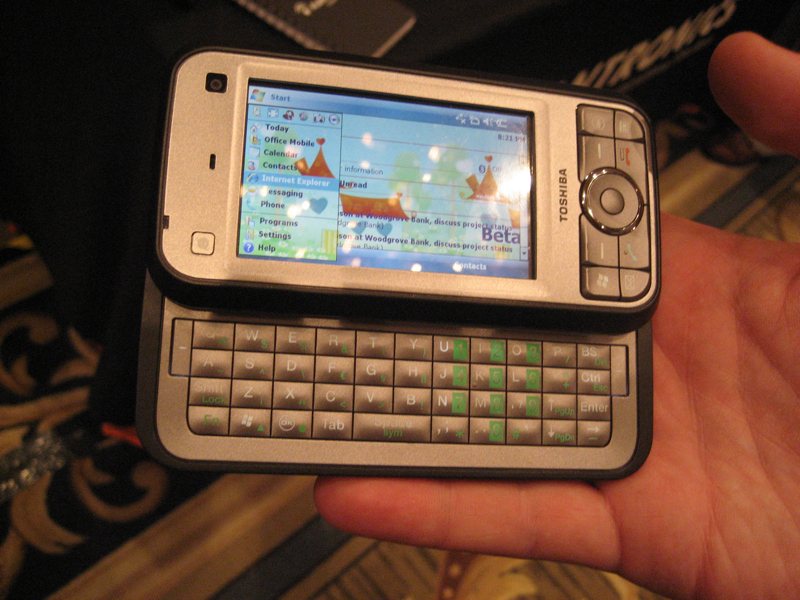 It's tiny, it's actually smaller overall than a lot of high end feature phones (Like the Sony Ericsson W810, just barely), with a great bright screen that has very high density. Sadly, the keyboard was just a little disappointing, but that's mainly because I wasn't used to it. It's off-center from the screen (which is obvious if you click on the thumbnails above), which is a disconcerting. I could get used to it, though. Sincerely, I could get very used to it. 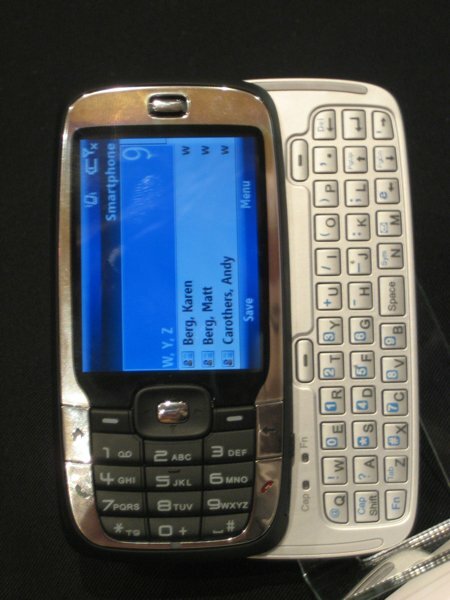 I want this phone. More good news - although there aren't any official carrier announcements in the US (yet! 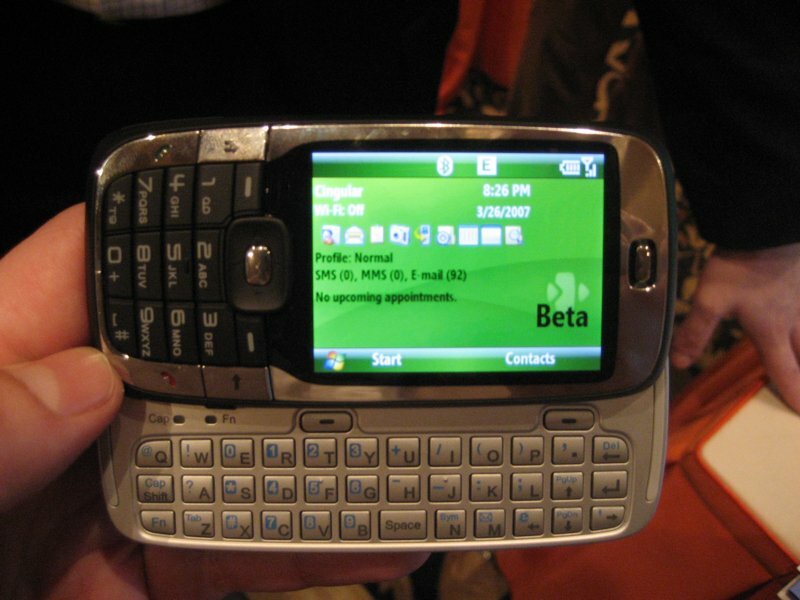 ), it is being released in a CDMA/EVDO version on Telus in Canada. This means there's at least a chance this little wonder could be available on every major carrier in the US. 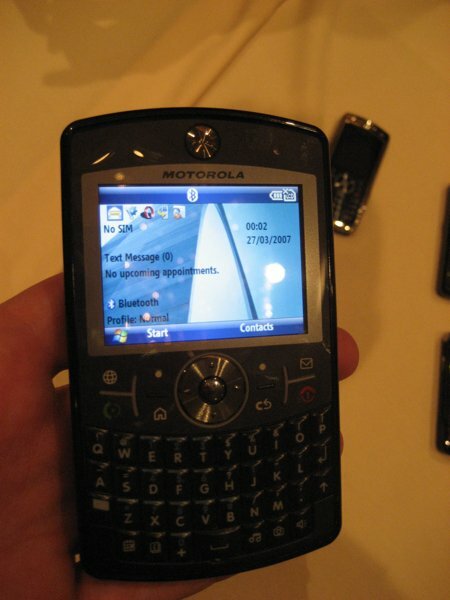 The Motorola Q9 is an improvement in every way over the original Motorola Q. Especially, especially in the thumbboard department. 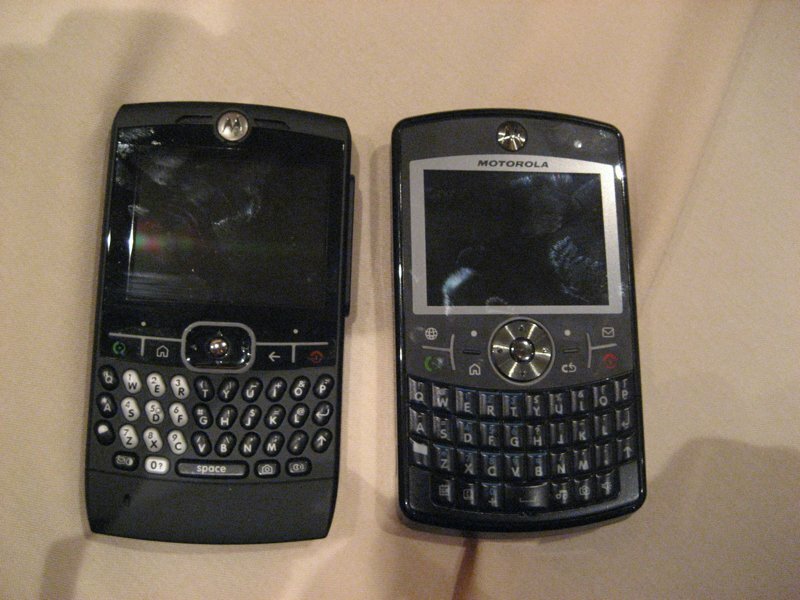 I've written before about being disappointed in the MotoQ's thumbboard, and although the Q9 still doesn't have a delete/backspace key on the main QWERTY board itself (for shame), the feel and tactile quality of the new thumbboard is so great I can easily say it's second only to the Treo 750 in the world of Windows Mobile thumbboards. Better than any slider I've used, too -- it's great. 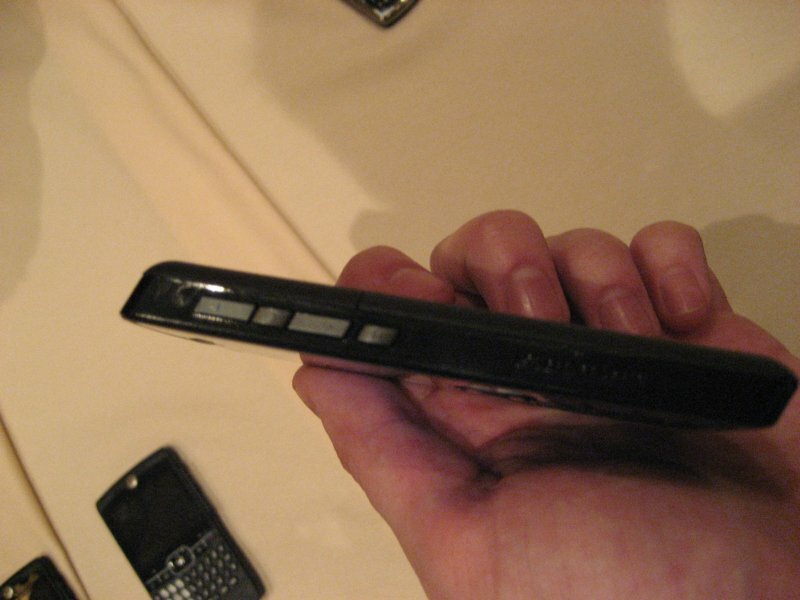 There's not much to say here: If you like the HTC Vox but don't think you can give up the touchscreen, then you want the Samsung i760. I'm still a fan of their neat little 5-way next to phonepad, and the thumbboard itself is comfortable and easy to use. We spoke to Yahoo about their plans for Yahoo Go. 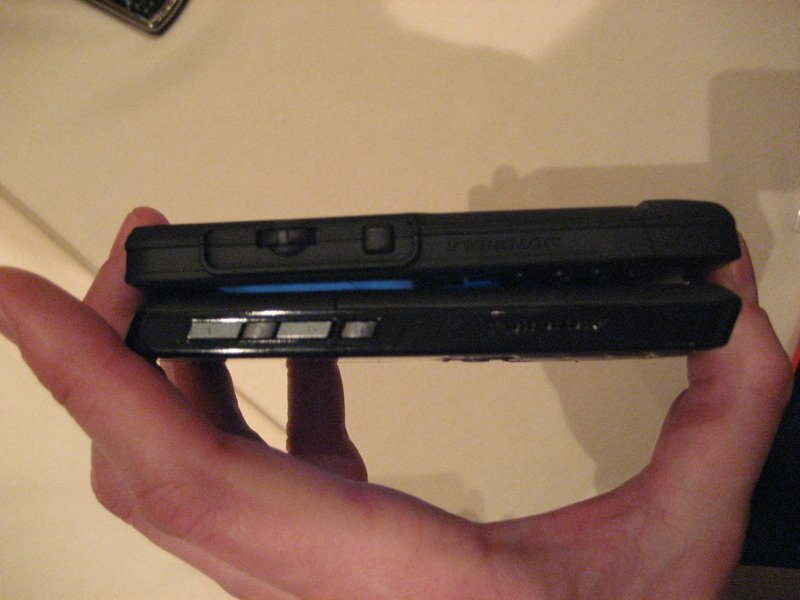 It currently only supports the "tall format" smartphone versions of WM5 (320h x 240w, like the Cingluar 3125). New formats that support other screen resolutions are "coming soon." Also notable is that it doesn't appear that the application does push email any more (it did in the first beta), mainly due to the fact that it no longer integrates with Pocket Outlook but keeps! your! Yahoo! email! within! the Yahoo! Go! application! On the bright side, you can set it to update every so often and it will update everything from Flickr to news to weather to email. So that's nice. At HTC's booth we learned the above Telus / HTC Vox in CDMA format tidbit and got to take a gander at the HTC Advantage - which I like but don't find especially compelling overall. Big screens are nice, but big devices are not. 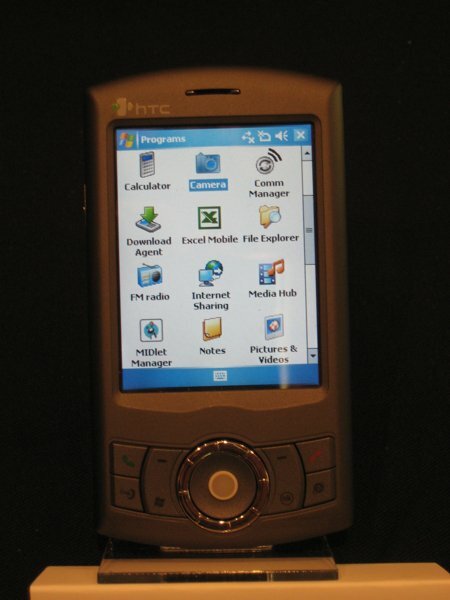 We also took a peek at the HTC Artemis, which has a combination trackball and a jogdial-type scroller around it. All-in-all, a great device for folks who don't care about having a thumbboard. If you know any of those people, I'd like to meet them and ask them what exactly is going on in that head of theirs. US availability: unknown.